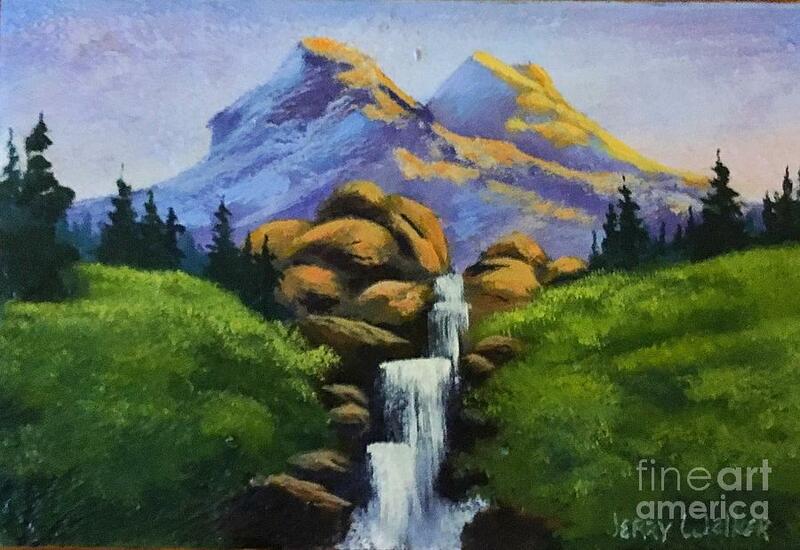 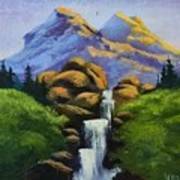 Waterfall is a painting by Jerry Walker which was uploaded on September 2nd, 2018. 6” X 4” acrylic painting designed to be displayed on supplied easel. May also be framed by buyer. 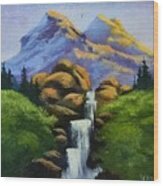 Shipping is included in price.